Optional KYRA SECURE-LOK™ Closure Straps1 eliminate VELCRO® brand fastener straps* and are designed to improve infection control. Wide lithotomy range of motion from +85˚ to -55˚. 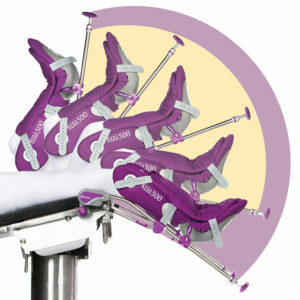 The unique patent pending design provides 22˚ more lithotomy range of motion than traditional stirrups. 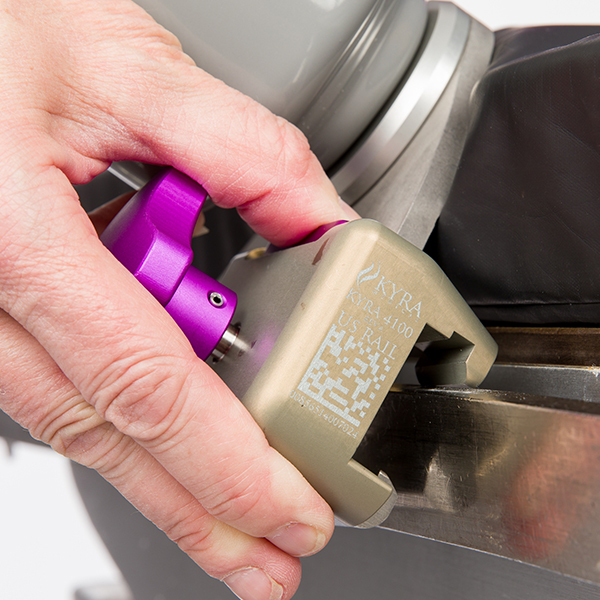 The Integrated KYRA SECURE-RELEASE™ Clamp1 solves the “lost clamp problem”. If the clamp is damaged it can be easily replaced or removed between cases allowing uninterrupted use. The larger/wider KYRA COMFORT™ 500 Stirrup boots and the standard sized boot on the KYRA COMFORT™ SB Stirrup accommodate virtually all patient leg sizes. Kyra Medical’s unique stirrup design1 allows ½” more padding for pressure relief than traditional stirrups2. Unlike traditional boot pads, Kyra’s pad protects the medial and lateral aspect of the ankle. KYRA COMFORT Stirrup’s curved support rods1 eliminate dangerous pinch hazards that traditional stirrups present. The KYRA COMFORT™ 500 boot accommodates up to the 95th percentile leg size patients weighing 500 lb. 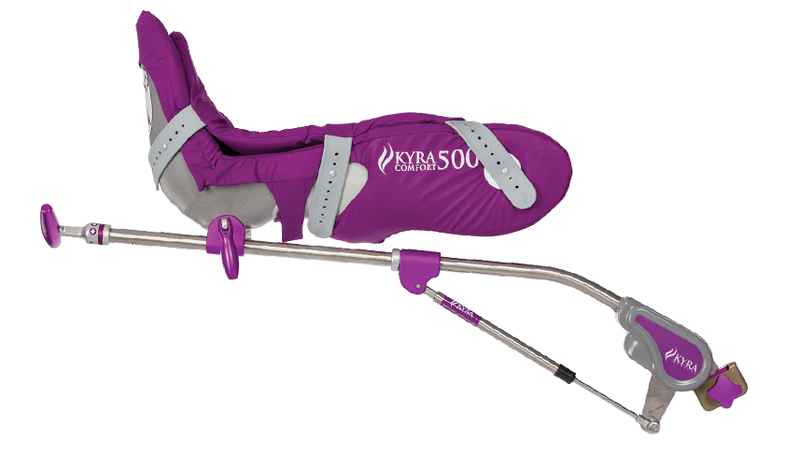 The KYRA COMFORT™ 500 SB boot accommodates heavier patients with smaller legs (patients weighing up to 500 lb.). 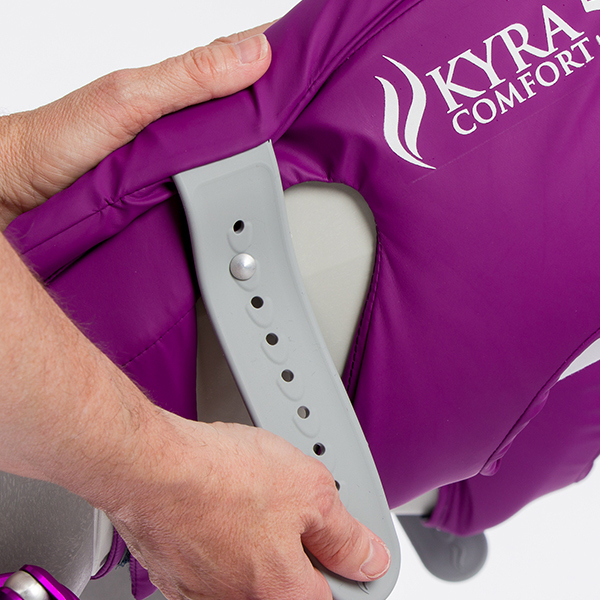 Together the KYRA COMFORT™ 500 and the KYRA COMFORT™ 500 SB accommodate 95% of patients weighing 100 -up 500 lbs. This product is covered by one or more issued or pending patents. *VELCRO® is a registered trademark of VELCRO BVBA and is not associated with Kyra Medical, Inc.